When Shin and Mei-Shun arrived at 飛鳥寺, a pheasant guy began to declare his territory. They beat a big bell once respectively to greet him under the gaze of guardian little frog, entered the room to see handsome 飛鳥大仏. 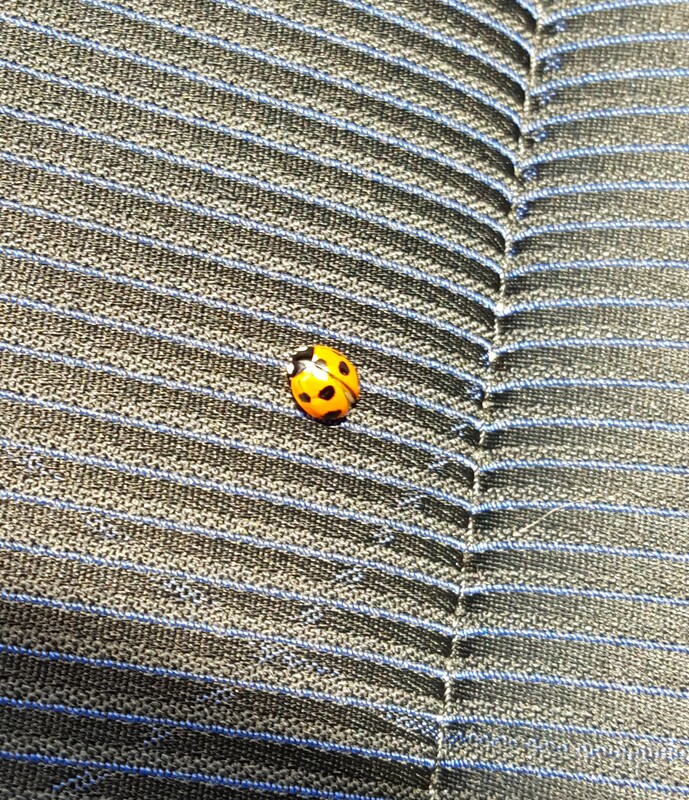 Oh, welcome to our car, dear ladybug. We heard that you have a miraculous system in wings, folded precisely and jump-open to fly. It would be applied to astronautics.